A radical transformation of the most unpromising 1970’s campus architecture. This project demonstrates the opportunities presented by even the most unpromising 1970s campus architecture through radical transformation. 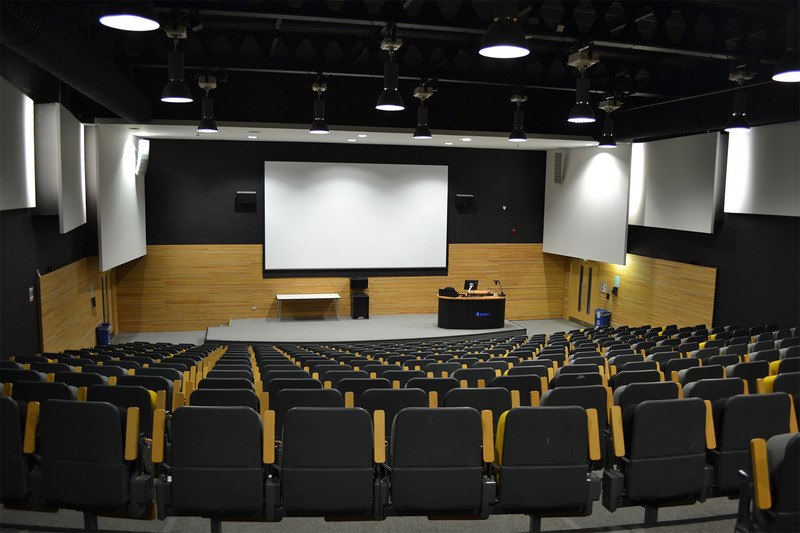 Phase 1 was a cost-effective remodeling and refurbishment of the auditorium, shifting the emphasis from theatre to lectures and conferences. 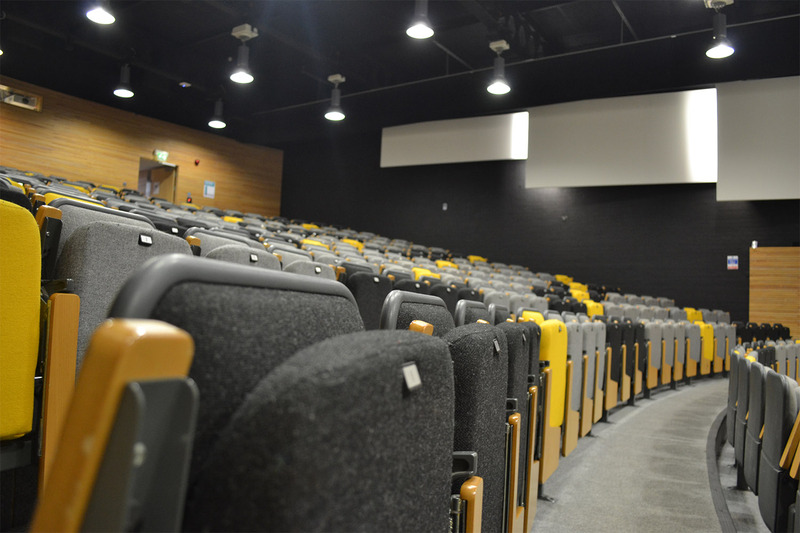 Phase 2 involved the addition of a new first floor for teaching space and seminar rooms. 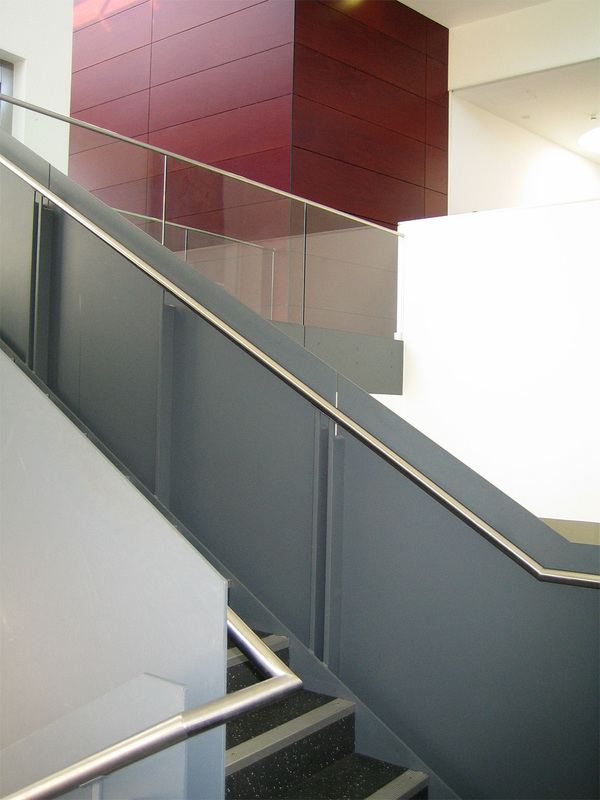 The two floors are linked by an impressive new stair-well, daylit from a structural glass rooflight above. This punctures the grass roof over the new building, acting as a lightweight sculptural element when viewed from the upper terraces of the University of Winchester campus. 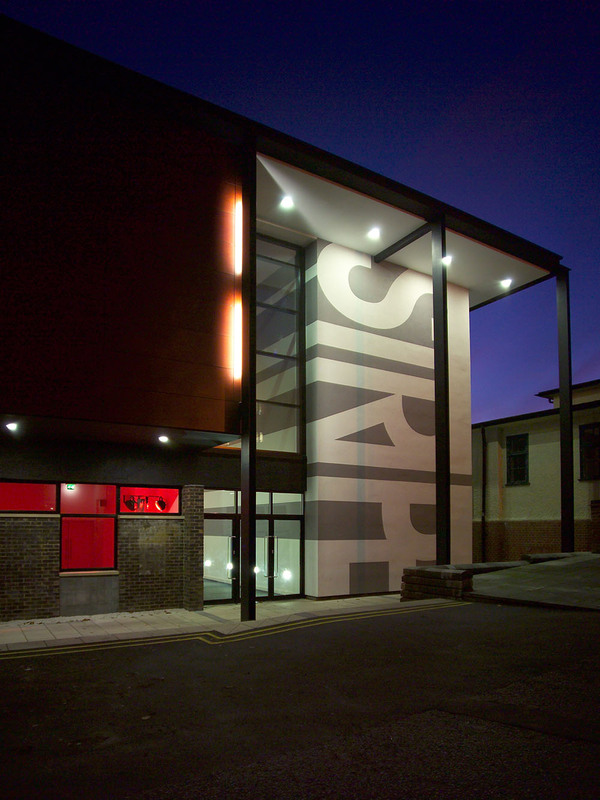 The original John Stripe Theatre was built in 1969 and extended in 1985 and has been used as a multi purpose facility, showing dance and theatre productions as well as acting as a music and lecture facility. The building sits on a steep slope and is highly visible from elevated areas around the campus. 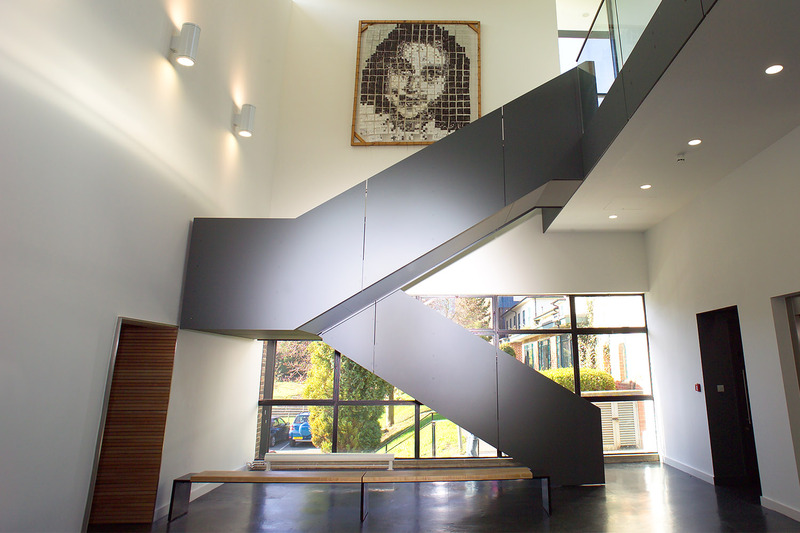 The main entrance area was single storey and led to a dark unattractive foyer space. 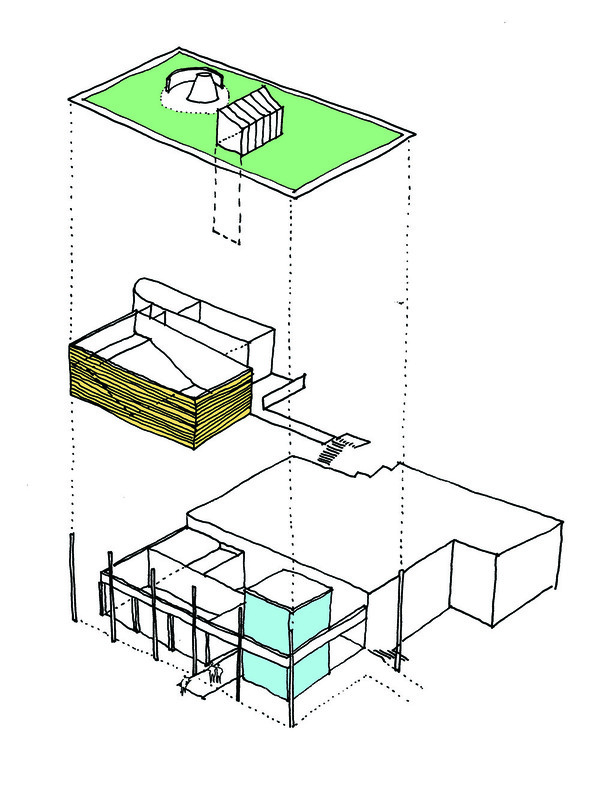 The Existing auditorium is built into the slope of the site generating a double height volume in the theatre space with two storey accommodation at the side and rear of the building. The building houses a Scottish and Southern Electricity Board substation in its lower ground accommodation. This facility supplies both the University and the local area. The lower ground floor also contains the plant room for the building and the electrical switch room for the campus. 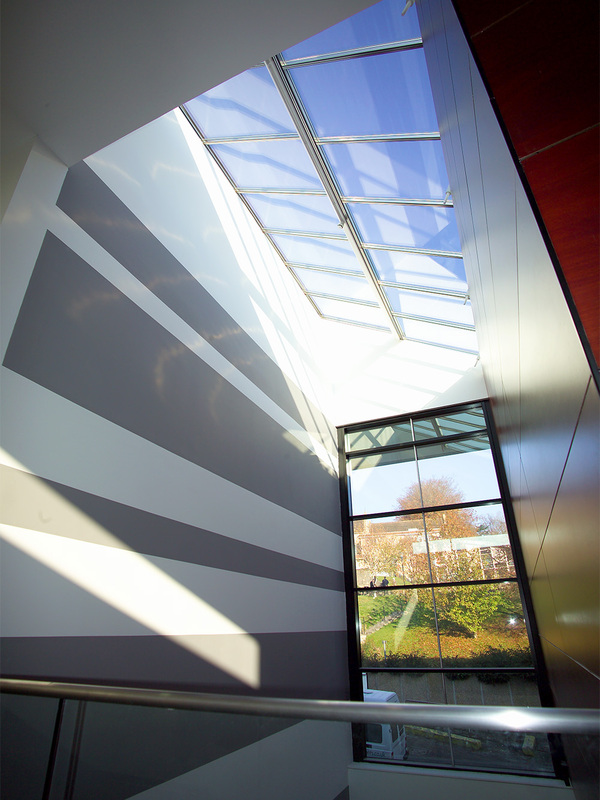 The single storey entrance space gave access to breakout spaces and toilet facilities and led on to the foyer space. The male, female and disabled facilities were located in a block off of the entrance area. Although having benefited from some refurbishment they were very cramped and the disabled toilet was cluttered with cleaning equipment. The foyer/crush space benefited from a large window looking towards the Martial Rose Library and was top lit by two rooflights.